The Hastings Rarities Affair (HRA) project and exhibition was originated and curated by Sinéid Codd of Rarities Productions when she became intrigued by this infamous ornithological scandal (of the same name), revealed in the 1960’s. 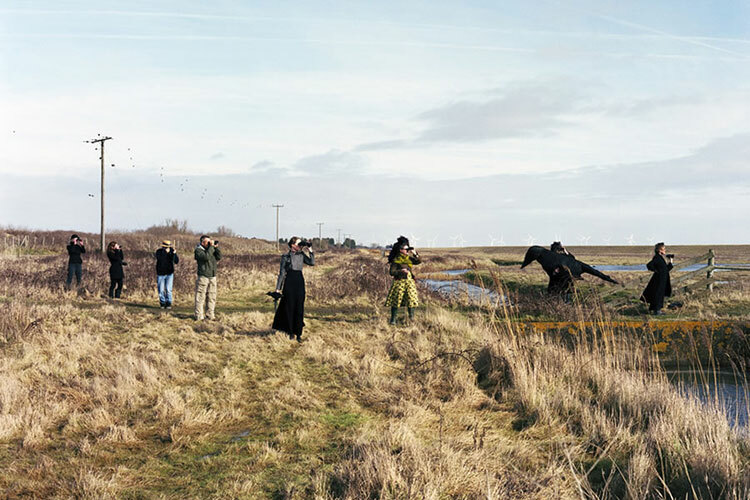 Renowned worldwide within the bird-watching community, the Hastings Rarities Affair is a story of alleged fraud and deception. A large quantity of rare birds were apparently recorded and collected within a 20mile radius of Hastings during the late 19th & early 20th centuries. The authenticity of these sightings was questioned by British Birds magazine in 1962 and as a result all the records of rare bird sightings for that period were deleted from the British list. George Bristow, the St Leonard’s on Sea taxidermist, gunsmith and supposed fraudster at the heart of the Hastings Rarities scandal, had a ledger in which he recorded his transactions with local ornithologists and collectors. It vanished mysteriously and left a raft of questions about the whole affair. In The Hastings Rarities Affair exhibition, 13 artists took a critical and humorous look at the saga and used it as a springboard for developing new work, using the museum’s archive and collection of birds as inspiration. As well as exploring fraud, artists considered collecting, taxidermy as a practice, migration, transformation, fragility, greed and desire. Their work came together in the superbly eclectic exhibition, The Hastings Rarities Affair at Hastings Museum & Art Gallery, 24 September 2010 – 2 January 2011. Project artists are Nik Borrow, Sinéid Codd (Curator), Lorna Crabbe, Roz Cran, Liz Finch, The Lambie Brothers, Judith Rowe, Len Shelley, Charlotte Snook, Harry Snook, Natalie Suggitt and Saffron Summerfield. In the Lost Ledger project catalogue, designed by Karen Wilks with humour and inventiveness, Sinéid Codd gives background details to the development of the project. Cathy Walling, Director of Hastings Museum & Art Gallery, presents the facts and consequences of the fraud in her essay, ‘The Hastings Rarities Affair’. Project artist, Charlotte Snook, takes a wry look at some highly dubious characters, perhaps the real perpetrators of the fraud, in her research essay, ‘A Tangled Web’. In ‘Art and Misdemeanour’, writer Angela Kingston explores the concept of fraud in contemporary culture, in psychoanalysis and neuroscience and enjoys the irony of the project. Alongside these essays, the artists explain their interest in the project, with images of their work and biographies. There are still a few copies of the limited, hand editioned Lost Ledger available from Hastings Museum & Art Gallery and Rarities Productions. The National Lottery through Arts Council England funded the Hastings Rarities Affair.